Twin Sheet Thermoformed parts/product are made by very few thermoformers. 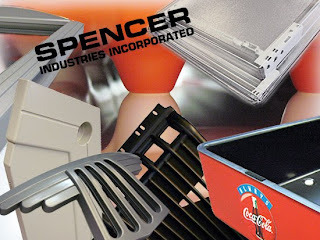 Spencer Industries is one of the few that Specializes in this skill. When using the Twin Sheet Thermoforming method there are many unique advantages that allows the engineer to think "outside the box." Using the Twin Sheet Method can also be a huge cost savings! Twin Sheet Thermoforming is accomplished by heating two extruded plastic sheets simultaneously and then forming and sealing or fusing these two sheets together during the thermoforming process. In many cases, the twin-sheeting process produces parts that can resemble a blow-molded or rotational molded product, but with several advantages. A hollow product with a separate component trapped inside the two sheets as the part is being twin sheet thermoformed.